Still Struggling To Cash In With Video? Press The Easy Button For Video Research - VidReaper! Grab VidReaper Right NOW . . .
I’m opening up VidReaper up for a VERY short time at special launch pricing. If you don’t act NOW you’ll never see it offered at this price again. And fair warning - we’ll be moving to monthly recurring pricing after this launch closes. Secure your Onetime Pass Now By Clicking the Button Below! Video marketing is one of the hottest ways around to make money. That’s why tons of video maker softwares and courses were sold in the last couple of years. However, these alone are not enough to make profitable videos. There is NO point in creating a flashy video if no one cares about the topic. You can have great animations for your video. Written the best possible video script. Even set it all to a catchy music soundtrack. Not even top rankings are enough if there’s no commercial value in the traffic. I don’t know about you, but I don’t want to waste a single minute creating a video that doesn’t make me money. And these details are what can make you money as a video marketer. Currently, the only option is hours of painstaking research in order to find the most profitable video topics and keywords possible. But doing that manually takes way too much time and effort. I decided there MUST be a way to automate the entire process. Eliminate unprofitable videos topics and keywords completely. My team and I have a LOT of experience mining data, and have access to tools that are often out of reach for many independent marketers. But this kind of high quality data is ESSENTIAL to eliminating guesswork when it comes to profiting with video. 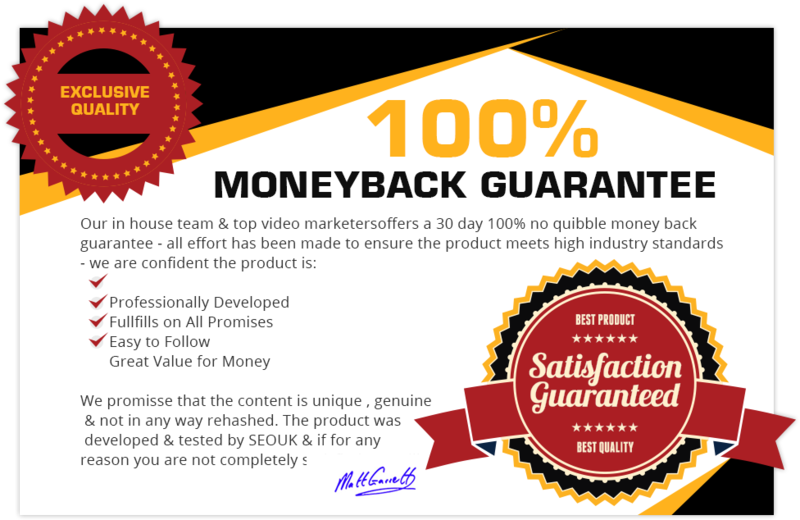 We’ve already released the groundbreaking Niche Reaper software with over 1 million keywords in its database … and it’s still being used for profit by THOUSANDS of marketers. We wanted to create something even MORE powerful for video marketers. So I asked my crack team of developers to create a 100% automated software to do all the video research heavy lifting for me. At first, I didn’t let anyone else in on my video research tool. And my income exploded. .
From Affiliate Marketing, eCommerce, Ad Revenue and More. . .
Video Maker Or Video Marketer? Anyone can make a video. But very few actually PROFIT from them. There are plenty of great tools out there that allow anyone to make truly great videos. But very few SYSTEMS to show people how to actually make MONEY with their videos. That’s where this software and complete marketing system come in. To fill the massive hole in the video marketer’s toolbox. Tired of Guessing Whether Or Not Your Video Will Be Profitable? You’ll never have to wonder whether or not your video will be profitable EVER again. Create money-making videos the very first time . . . and every single time. Discover the video topics and keywords with maximum profit potential . . . Profitable Video Topics In Seconds! Before I took VidReaper public, I had it developed to my personal specifications. It’s different from ANY other video research tool on the market. You’ll get MORE than just keywords and tags. It helps you discover video topics with server-melting traffic and high earnings potential . . . AND costs a fraction of my competitor’s video marketing tools. ALL My Strictest Tests. .
VidReaper Delivers COMMERCIALLY PROFITABLE AND HIGH TRAFFIC Video Topics On A Silver Platter! VidReaper is a ground-breaking video research tool. It’s the missing piece of the money-making puzzle for video marketers. that are ranked in Google. and topics that are profitable. HARD data means REAL results. Unlike a loophole or hack that may stop working tomorrow, VidReaper relies on high quality data backed by industry leading tools like Majestic SEO… numbers you can count on to exploit video niches that get you paid! So user-friendly . . . completely intuitive interface gives new video marketers all the data they need to make cash-sucking videos at a glance. Yet . . . VidReaper has sophisticated metrics to satisfy the demands of advanced video marketers, too. Gain the confidence you’ll have ALL the data you need to find the perfect topic for your next video . 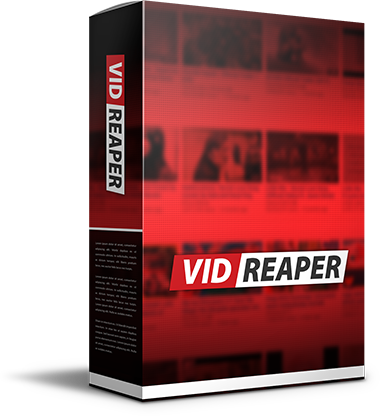 . . because of the ability to drill down deep and refine your searches with VidReaper.VidReaper makes long, tiresome sessions wracking your brain to find a money-making idea for your next video are a thing of the past. You’ll NEVER waste a single minute on topics with poor traffic and no commercial value again. “Traditional” Video Research Is Leaving YOU Broke! YouTube has over 60 million videos in its library. No one has the time to comb through this colossal amount of videos and find which titles are money makers - and which are a complete waste of your time and energy. Uncovering the right title is like uncovering a diamond hiding in plain sight. Missing out on these gems is costing you a bundle . . . and you might not even realize it! 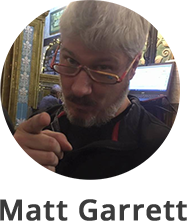 Getting in early on a trending topic can make the difference between making ENORMOUS profits or settling for mere crumbs. Every day that goes by without jumping on board hot trending topics is costing you PLENTY in missed profits and opportunities. The Video Marketer’s ‘Secret Weapon’ - Like Having Your Own FULL TIME Research Team! VidReaper works tirelessly in the background mining data for you 24 hours a day - harvesting the only most PROFITABLE video ideas ripe for YOUR exploitation. Because it fetches the freshest videos daily into its database, you’ll NEVER run out of profitable video ideas. They’ll be waiting for you every time you log into VidReaper - you’ll be able to take on the most competitive video niches without a shred of doubt . . .
See at a glance all the untapped niches with UNLIMITED profit potential YOU can quickly take advantage of . . . without spending a second in ANY boring manual research! There are so many ways you can earn with VidReaper. So why would you limit yourself to only one? Google loves video content, because it keeps readers engaged on your site for longer. This lowers your bounce rate - a major Google ranking factor. Result? You’ll get even MORE organic traffic and sales. Use video to drive traffic to your landing pages to grow your subscriber base. 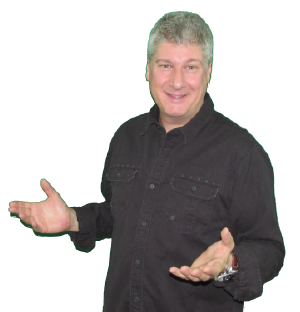 Grow your list FAST for push button income on demand. Monetize your videos with AdSense for a completely passive profit center. VidReaper makes research so easy, you’ll be able to make videos super fast. The more videos you make, the more you’ll earn! VidReaper will only be offered as a onetime license for the duration of this launch. Once the launch is over, we’re taking this offer off the table. Once it’s gone, it’s gone for good. There is NO other competitor who offers all the advantages of VidReaper for a low, one time investment. Our biggest competitors’ charge as much as $500 per month for comparable services. I want to make this game-changing tool available for any marketer ready to take action NOW. Unfortunately, because of the large investment I made in developing VidReaper, I simply can’t offer this pricing for long. Make the decision now to actually make some money with video marketing. I’m So Sure VidReaper Will Work For YOU, I’ll Guarantee It. Any offer I make is based the principle of saving us both time and money. If my products don’t meet this criteria, they don’t see the light of day. Tap into any niche market you choose, and be able to virtually guarantee you’ll be profitable from the start? To create hands-free passive income, effortlessly build your list, and ramp up your affiliate and eCommerce earnings fast? Never waste another moment, or a single dime, making an unprofitable video? Get FREE traffic which boosts visitor engagement, melts resistance to buying and helps your blog’s organic rankings? Fast track your status as an expert on social media to build trust and credibility - the secret sauce for explosive sales? This EXCLUSIVE offer won’t be around much longer. I was on the fence about making this software available to the public in the first place - because it’s so effective! So grab VidReaper NOW, before I come to my senses and price it at what it’s really worth. P.S. My products speak for themselves, so I don’t feel any need to pressure you into buying them. However, I do want to remind you that time IS running out to secure your copy of VidReaper at the lowest price it will ever be offered. You’re fully covered by my no quibble guarantee - the risk’s all on me. You’ve got nothing to lose! Will VidReaper work on my Mac? Yes, because it’s web-based. It will work on any operating system without conflicts. If I purchase VidReaper today, will I ever pay monthly fees down the road to use it? You have my promise you’ll only ever pay a one-time fee for VidReaper if you pick it up during this launch. Will I receive free updates with my purchase? Yes. We work on constantly tweaking and improving VidReaper behind the scenes. You’ll get the full benefit of these updates without needing to lift a finger (or ever pay extra!) for them. Do I need many tech skills to use VidReaper? Not at all. We’ve made VidReaper simple to use, even for novices. If you have enough tech skills to set up a basic WordPress site, you have more than enough tech skills to exploit any niche you want with VidReaper. How is VidReaper different from all the other video maker softwares and video research tools I see out there? VidReaper isn’t a video maker tool. But it works hand-in-glove with your video maker software to help you brainstorm great topics for your videos and give you the titles and keywords to get fast traffic from them. 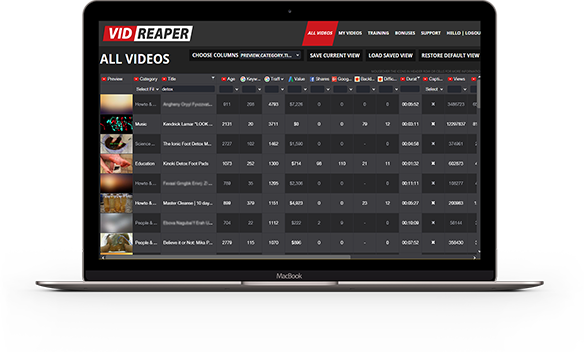 Other video research tools charge hefty monthly fees for the same in-depth information you get from VidReaper. And you’ll pay only a one-time fee today for what others charge up to $500 month.